$25 per night for non-hookup spots. $40 per night for hookup spots (first come, first serve). Friday, March 29: 6:00 pm Team Faith Micro Track Walk. Meet at starting line for guided tour of the micro course. Families welcome! 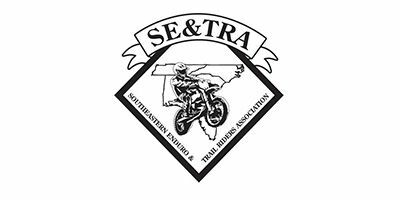 This event is co-sanctioned with our friends at the Southeastern Enduro and Trail Riders Association (SETRA). This is a classic cross-country track too, with plenty of creek crossings, mud bogs and rocks. The track is flowy and fun, but rugged. And the hills, going both up and down, are long and steep. As the race goes on, a lot of tree roots become exposed. This makes for a rough ride when it’s dry and a slick track when it rains. The course also gets faster and faster as more lines open up throughout the weekend. The soil here can range from brown top soil, to red clay, to sand and back, all in a span of 5 minutes. The sections along the creek can get sandy and rough, while the base of the mountains see loamy brown dirt. However, as you make your way up the hills, it begins to turn into red clay. Steele Creek is an actual campground. Hook-ups are available, but separate fees apply for camping. 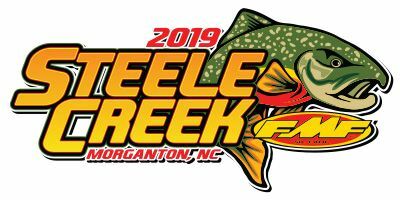 For more information check out Steele Creek Campground's web page. Village Inn is a small pizza buffet chain located throughout western North Carolina. Village Inn offers up a full pizza and salad buffet at great prices. 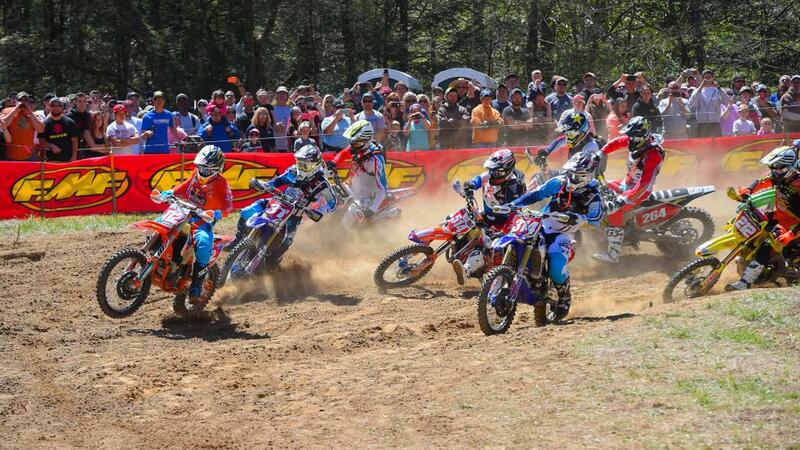 One of the owners is also GNCC racer Will Lackey, who claimed the 2013 Super Vet-C class championship! Fatz Cafe offers many choices, ranging from seafood and chicken to pasta, steaks, and more more. Las Salsa's is a traditional Mexican restaurant with a few twists. The salsa bar is always a big hit, and the food is always prepped with freshness in mind! Kin2Kin is located in the heart of downtown Morganton and offers authentic Japanese cuisine and hibachi, as well as fantastic sushi. A favorite of the GNCC staff, check it out! Featuring craft beer, cider and wine, Brown Mountain is where the hipsters hang. Located across the street from Kin2Kin in downtown Morganton, Brown Mountain offers a large selection of IPA’s and local foods. OK, not so much on the food, but the beer is great! Located at the corner of N. King Street and West Union, this cozy café offers an extensive espresso selection, smoothies and frappes, breakfast, lunch and dinner. Stop on your way to the races for a morning cappuccino and New York bagel and on the way back for a Flying Monkey and Carolina Chicken. You will most likely pass this gem on the right way to the track. 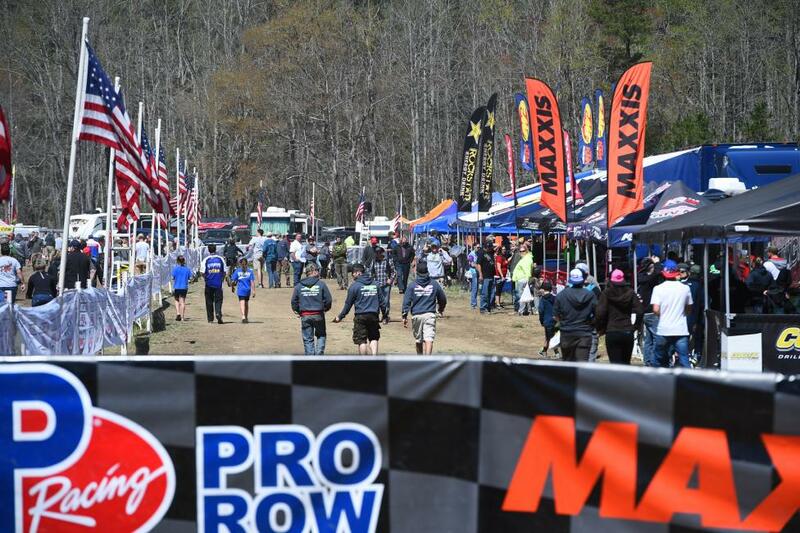 The Grill shows it’s love for GNCC with a cool ‘Welcome Racers’ sign roadside. Terrific breakfast and lunch spot. Local hangout which means great food. Stop in and say hi! You won’t regret it. Great family atmosphere to compliment the great Italian cuisine. Affordable and fun. And they love GNCC!